Do you know your local economic development team? Knowing and utilizing your local economic development team can be the boost needed to complete your projects. Both community and local businesses play an important role in the quality of life offered in a particular area. When the well-being and quality of life for a community is combined with the support of businesses that create and/or retain local base jobs, the result is economic development. Economic development is multifaceted, and its success is driven by the combination of community and business development activities that affect and improve the community as a whole. The most successful examples take a team approach with many agencies and organizations working together to share expertise and resources. The center of the economic development team is very often the local economic development organization (EDO). EDO’s can take on many shapes and sizes, but are primarily identified by their experience, expertise and contacts with the many agencies and organizations that support communities and businesses. One important area of expertise your local EDO provides is the ability to identify potential grant funding opportunities. These grant opportunities are often the most critical component to a project’s feasibility. Experienced EDO staff can provide grant application and administering support to see economic development projects through from concept to completion. 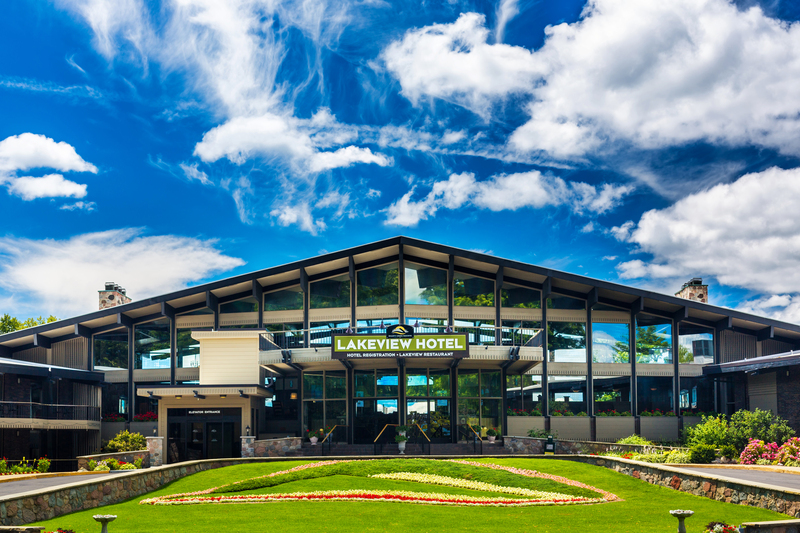 An example of a successful EDO in Northern Michigan is Michigan State University Extension partner, Northern Lakes Economic Alliance (NLEA). Established in 1984, NLEA has a long record of providing economic development support to a variety of both public and private organizations. There are numerous economic development organizations throughout the state of Michigan that can assist your community and business. The Michigan Economic Development Corporation (MEDC) hosts a comprehensive list of these organizations on their website. Make your way to MEDA’s Annual Meeting! For several years, I have enjoyed volunteering on the MEDA Annual Meeting committee. I have moderated, lectured, and even chaired the event. This year, I am co-chairing the Annual Meeting with my friend Maureen Krauss, Detroit Regional Chamber. This year, we exceeded (broke records!) the budget for sponsorship, which tells us that we are on the right path for the content and theme for this year’s event, held in Detroit. The theme is RetoolED. It will take place from August 23-26, 2016 and headquartered at the historic Westin Book Cadillac Hotel in downtown Detroit. Much has been written about Detroit since its bankruptcy and how it is on the rebound and continues to redevelop itself to become the “cool place” to be part of once again. I have found it absolutely amazing the number of small business and start-up companies that have jumped in and created successful ventures within the city of Detroit. The entertainment and restaurant options alone have doubled just in a few short years and we are seeing the true entrepreneurial spirit occurring in Detroit. In addition, we have recently secured the city’s mayor Mike Duggan as one of our speakers! It was natural to develop a theme for economic developers which addresses how we rebrand and re-invite as the economy gets better in Michigan. Given the fluid nature of small businesses, whether it be through merger or failure, a lot of small buildings are left with FOR SALE or RENT signs in their windows in towns, cities and villages. More often, communities are left trying to find tenants without making changes that will compromise local heritage. Hear some experiences and learn some good practices for the adaptive reuse of small buildings. This session will cover strategies for funding economic development. The speaker, who has years of experience in working with large and small communities, will delve into best practices for running a successful campaign, how to develop a long-term strategy for sustainable funding, and how to implement that strategy with tips on maintaining relationships with your investors. Now that region-based economic development is an established strategy, there are any examples of success from around the country. This session will give you new ideas for taking advantage of your regional program. Michigan agriculture supports over $100 billion of economic activity every year and accounts for about 22% of the state’s employment. The diversity of our agriculture industry is second only to California, with more than 300 commodities produced on a commercial basis. Michigan is home to more than 50,000 farms, most owned by families or individuals, as well as many Fortune 500 food companies. With all this activity, what should local and regional economic developers focus on to leverage these opportunities to create growth in their communities. This session will offer both a state and local perspective on those opportunities and what can be done by economic developers to understand and partner with the agriculture community. Besides the educational sessions, the Annual Meeting is one of the few opportunities for members to network and grow on those relationships. One of the ways we will look to enhance the networking this year by having a pub crawl Wednesday night and we have several walking and bike tours of some of the “watering holes,” both new and historic, near the hotel. I hope to see you at the Annual Meeting – this year promises to be one of the best we have had in several years! Click here for more information or to register. What is Economic Development, Exactly? Having been an Economic Developer for over 20 years, I still struggle sometimes to explain what Economic Development is. It has been even more difficult since the profession itself has been changing over time and broadening in scope. More recently, Economic Development, and by association Economic Developers, have encountered criticism questioning the legitimacy of what they do and whether it is really in the public’s best interest. Budget shortfalls and the misunderstanding of how Economic Development Incentives work have led to attempts to cut funding for Economic Development Programs. 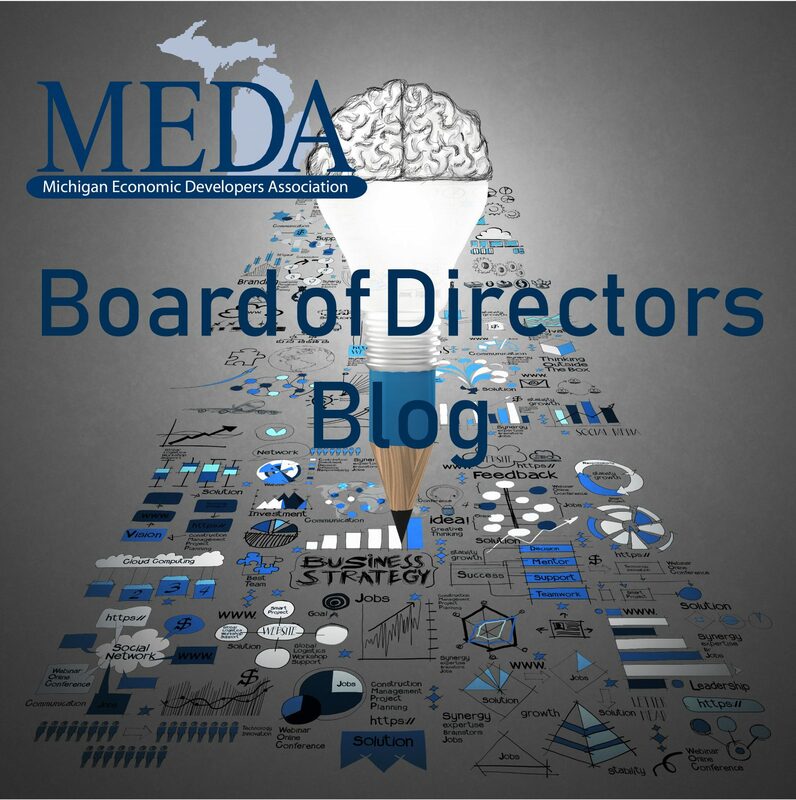 MEDA and the MEDA Advocacy Committee have stepped up to define and defend the field and the good work that Economic Development Professionals do throughout Michigan. MEDA is unified in describing Economic Development as attracting and growing businesses, creating and retaining jobs, and making our communities a better place to live. In a nutshell Economic Development creates prosperity for the citizens of our communities. Furthermore, Economic Developers are professionals within a community that use various tools to stimulate economic growth while maximizing the best interests of the entire community and finding mutually beneficial solutions for all parties concerned. Economic Developers help local officials and businesses to work together for community progress. Attracting and growing businesses strengthens our economy providing locally produced goods and services. Strong businesses pay taxes that go for vital services such as schools, roads, fire and police. Businesses also provide good jobs that put money in people’s pockets and allow for a higher quality of life. Economic Development has a major impact on the places where we live, work and play. Putting vacant or abandoned buildings and land back into productive use is a major function of economic development. This helps keep businesses located in urban areas where sewer, water and other services are already present. Economic development retains and attracts talented people. Communities that provide quality jobs and great places to live and work are a magnet for folks of all ages. As a result, these places have a strong future. Economic development also fosters the entrepreneurial spirit that resides in our creative and ambitious citizens. By providing access to ideas, investment and expert advice new companies can be created to help assure Michigan’s economy stays innovative and diverse. So the next time that you have the opportunity to speak up on behalf of Economic Development or Economic Developers, go ahead and jump into the conversation with the confidence that investing in economic development is good for everyone. An important strategy in economic development surrounds the need to have a robust legislative agenda and the relationships required to move that agenda forward. In particular, we need to be the eyes and ears for small businesses who typically do not have their own government relations staff while supporting the efforts of larger businesses and municipalities that fall within our policy agenda. For example, there is a Dark Store Tax Issue that the County of Marquette has been working diligently to get corrected. This falls under the “business climate” category because it is important that taxes be fair and consistent for all businesses, and we continue to support this effort. Our partners are an important part of our strategy as well. When there is a legislative policy issue that needs to be addressed, oftentimes we engage our partners through an “Action Alert” so they have all of the information at their fingertips to weigh in with the appropriate legislator(s) or departments. This helps to elevate the support or opposition of an issue in short order. Have you heard about the U.S. Department of Labor’s (DOL) proposed changes to overtime exemption regulations? Do you know how they may affect your business, non-profit or governmental bottom line? On July 6, 2015 the U.S. DOL issued a notice of proposed rulemaking that would change the regulations that exempt administrative, executive and professionals from the Fair Labor Standards minimum wage and overtime requirements which are often times referred to as the “white collar” exemptions. The proposed rules would change the current salary threshold for employees currently exempt from overtime requirements from $455 per week ($23,660 annually) to $921 per week ($47,892). That is over a 100% increase! The threshold does not take into account whether your business is in a metropolitan or rural area, where in the country it is or its size. Increase is across the board. The DOL accepted comments on the proposed rule until September 4th of last year. Remember, however, that this change is coming from the DOL and is not legislation that our elected officials will vote on. Based on a recent conference put on by the U.S. Chamber of Commerce, we expect a final decision on the proposed changes to come this fall with compliance expected within 60 days of their decision. So, please, take time to review your wage and hour practices, contact your financial advisor to determine how many of your employees may be subject to the new dollar threshold and be prepared to either increase your exempt employee’s base salary, begin paying overtime or make other appropriate adjustments. Editor’s note: MEDA Members have access to weekly legislative updates through our weekly newsletter and updates on our website! Click here for this week’s legislation. Amy Clickner is the CEO of the Lake Superior Community Partnership. She can be reached at aclickner@marquette.org. If you were to ask me what question I get asked most often by people who are looking to start their own business it would undoubtedly be; “Do I really need a business plan?” My response is simple, if you want to succeed, yes, you do need a business plan. Just like you wouldn’t build a house without plans or bake a cake without a recipe, you need to have plan for what your new venture will look like and how it will be funded. Most people take a look at that list and are turned off by it. What does it mean? Where am I supposed to get this stuff from? Believe it or not, most of it you already know. You know what you want your company to be, how you want it to run, what your financial situation is and what the day to day operations are going to look like. Getting those out of your head and down on paper is an enormous first step. From there, experts at the LSCP or SBDC can help you with the research and financial projections and the final packaging if you need to submit your business plan to a lender for financing. Having a business plan and financial projections prepared for a lender is one reason that it is necessary to create one, but you may think that if you’re self-financing you can skip the process all together. I don’t recommend it. One of the most beneficial part of the planning process is that it help you work out the kinks in your plan and refine your ideas and budget. In some cases after going through the planning process, people find that their business won’t be profitable and decide not to move forward, other times, they refine their ideas, sometimes the plan is just a confirmation of what they already knew and no adjustments need to be made (this is extremely rare). Owning your own business will be one of the most difficult and rewarding things that you will ever do, don’t shortchange yourself at the beginning by neglecting to prepare a plan. Authored by: Amy Clickner, CEcD, CFRM, the CEO of Lake Superior Community Partnership. 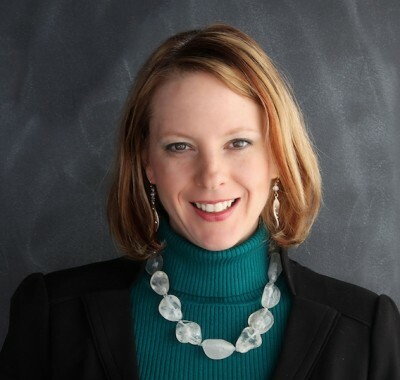 Amy is the Vice President of the Michigan Economic Developers Association. It is an honor and privilege to serve as the 2016 MEDA Board of Directors President. As a member of this professional organization for over ten years, I am grateful for this opportunity to represent all members of MEDA across the state of Michigan. I value the trust you have placed in me and will work hard to maintain that trust. I feel very fortunate to work with such a group of outstanding individuals who make up our Board of Directors. Thank you to our 2015 President, Kara Wood, for her leadership over the past year. I would also like to thank Michelle Aniol and Jennifer Owens for their service to the Board. We welcome new Board Member Kimberly Marrone, from the City of Oak Park to the Board as a Member at Large. Finally, it’s always important to have people you can count on. I’d like to recognize John Avery and Cassandra Jorae for their hard work and dedication to the organization. Thank you for the fantastic job you do every day. The Board of Directors will continue to focus on our most critical and important opportunity; our members. Member engagement and creating more value for MEDA members is a top priority for the Board. Your participation in MEDA is critical and essential to the overall success of our organization. We are looking forward to developing new programs and listening to you, our members. I cannot stress enough how important it is to be engaged in order to identify opportunities in our profession. We need to challenge ourselves and our approaches to Economic Development. I encourage you to have open dialogue with Board members. Your input and support are needed for the overall continued success of MEDA. Day in and day out, we are all working to bring the Michigan economy back from the economic decline for which we all experienced. By supporting business growth and development, encouraging entrepreneurship and innovation, promoting foreign and domestic investment in our communities, and championing the cause of building strong communities through the nurturing of a robust economy, MEDA can play an important role in Michigan’s economic development strategy. In addition to the other great programs we have throughout the year, our Annual Meeting will be held in Detroit from August 23-26th at the Westin Book Cadillac Hotel. The planning committee is hard at work on the content and you will be seeing information come out in the next few months about out annual event. You won’t want to miss it. Thank you and cheers to 2016! Authored By: Stephanie Carroll, Manager, Business Development & Community Relations, City of Auburn Hills. Stephanie is MEDA Board President for 2016. On Oct. 2 – designated as National Manufacturing Day 2015 or MFG Day – more than 100 manufacturing facilities opened their doors to more than 5,000 students across Southeast Michigan, giving them a real-life look at what it is like to be in the manufacturing industry. MFG Day is a nationwide event that celebrates modern manufacturing and seeks to inspire the next generation of manufacturers. MFG Day serves as a way to help students understand what manufacturing is and is not, debunking myths and preconceived notions, and educating students on the wide-range of skills required in these jobs. High school students primarily from Wayne, Oakland and Macomb counties toured numerous manufacturing facilities from automotive to aerospace. Participants, who included counselors and educators, met with workers to learn about high-tech jobs and the type of training needed to land a promising position. With support at a local and regional level, MFG Day 2015 was coordinated in collaboration with multiple organizations, including the Michigan Economic Development Corp., the Detroit Regional Chamber and the Workforce Intelligence Network for Southeast Michigan, as well as partners in Macomb, Oakland and Wayne counties and the city of Detroit. Tours and festivities surrounding MFG Day stirred excitement: Students gained hands-on experience relating to potential career opportunities, for example, virtual reality automotive assembly activity using lightweight metals and demonstrations of virtual welding tools for production. Connecting students and employers through opportunities like MFG Day is critical to sparking students’ interest in high-demand careers, but it is important to have ongoing exposure throughout the year so that students’ interest does not fade. MI Bright Future offers a way to continually connect students and employers willing to offer these exploratory activities. MI Bright Future is a Web-based software that connects students and employers to provide hands-on experiences like job shadowing, mentoring, internships and apprenticeships that will immerse students in high-demand fields. There is a widening skills gap in manufacturing across the region: In the past year, there were more than 87,312 manufacturing-related job openings but only an estimated 15,822 individuals who completed training and education relevant fields. Following the model of sites nationwide, MI Bright Future’s hands-on approach has been found to result in attitudinal shifts for students, such as feeling more prepared to make college and career decisions and realizing the relevance of their classes to their career path. This model has also been found to serve as an effective dropout prevention tool. MI Bright Future involves employers, K-12, higher-education institutes and workforce-development agencies that are committed to bridging the skills gap and addressing gaps in the talent pipeline. The initiative will launch in four counties this fall (Livingston, Macomb, Oakland and St. Clair), with the potential to reach more than 168,000 students. Beyond MFG Day, MI Bright Future serves as a way to educate the future workforce year round. Working together, the Southeast Michigan community can support student career awareness, help them make better investments in their future education, and bridge the skills gap. Participating in this effort will allow companies to ensure that their workforce is future-proof. To learn more, visit MIBrightFuture.org. For more information on Manufacturing Day 2015 and how to be involved in 2016 MFG Day efforts, visit manufacturemyfuture.com. This article originally appeared on Lisa Katz’s “Jobs & workplace” blog on www.CrainsDetroit.com. You can view this article and other posts from Lisa’s blog here. Over the next year, nine critical coal-fired power plants across Michigan will shut down because of environmental standards, regulations and old age. 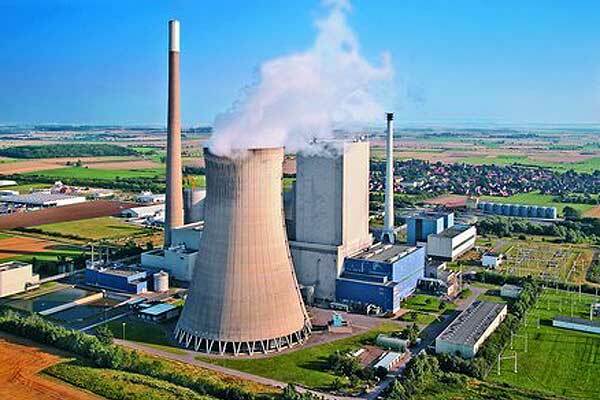 Coal plant retirements will begin to accelerate in some of your communities over the next 15 years in order to comply with the U.S Environmental Protection Agency’s Clean Power Plan. According to Midcontinent Independent System Operator (MISO), Michigan’s Lower Peninsula is projected to face an electric capacity shortfall; and if left unaddressed, Michigan will have to import electricity from other states to meet demand. Growing capacity shortfalls may lead to unpredictable electric rate spikes for residents and businesses in our communities; and federal government control of Michigan’s energy future. In order to address this matter, an affordable, fair and clean energy policy is needed, putting Michigan first. Meaning…Michigan companies and Michigan workers generate the power we need for our homes and businesses…keeping residents and jobs in our communities. As economic developers, you know that it is crucial that reliable and affordable electricity is essential to keep Michigan’s economic comeback moving in the right direction. Michigan residents and businesses deserve nothing less! We need a policy creating the next generation of clean energy jobs right here in Michigan. The Senate is getting ready to vote on this issue next month and if you feel as passionate about this as I do, contact your Senator today! Authored by: Monique Holliday-Bettie, Economic Development Manager, DTE Energy. Monique serves as a Member at Large of the MEDA Board of Directors, Co-Chair of the MEDA Membership Committee, and a member of the MEDA Young Professionals Committee. Three years ago, my then 5th grade daughter greeted me at the door one evening excited to tell me about a school project she had just completed. The assignment was for teams of kids to develop a plan on how to persuade people to move to one of the 50 states. My daughter, Chloe’s team had drawn the State of Maryland and were tasked with developing a promotional poster and business card to be used as part of their final persuasive class presentation. As an economic development professional, I saw this as a tremendous opportunity to connect with my 5th grader and with way too much enthusiasm I exclaimed, “No way! That is exactly what I do!” In hindsight, I should have known to lower my expectation as her response was an instantaneous eye roll followed by an under-the-breath, “really”. My uncanny ability to be “so not cool” around my kids had struck again. After this precious father and daughter exchange, Chloe proudly shared the business card that she had created with her group. 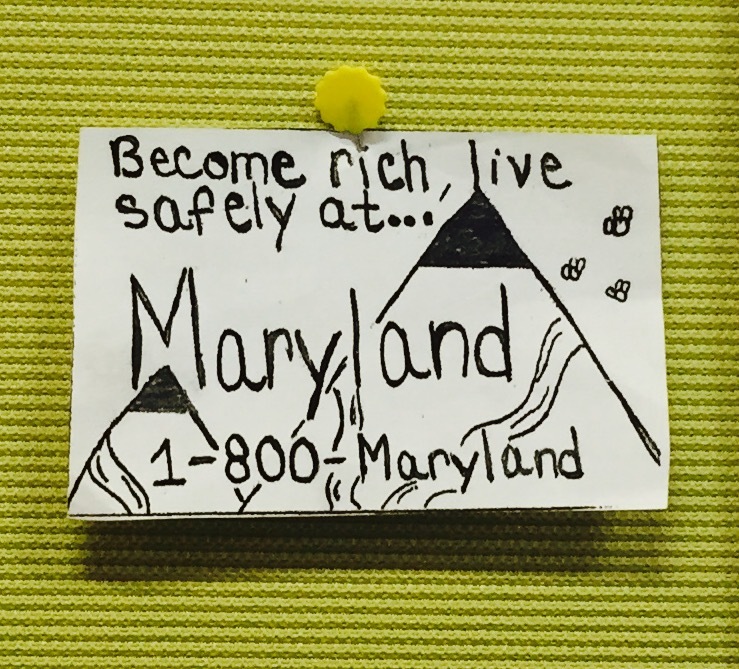 I was impressed with the simplicity and the directness of the message, “Become rich, live safely at… Maryland.” Based on their research, this is what her group had concluded about Maryland. With few strokes of a #2 pencil, these brilliant 5th graders pushed on key buttons that resonate with us all. If you moved to Maryland, you would have economic security and live in a safe environment. Who could say no to this?!! Chloe’s business card has hung on my office wall ever since our conversation in 2012. It is a constant reminder of why I am an economic development professional, to make our communities an even greater place for existing residents and an undeniable option for newcomers. It’s easy to forget the “why” as we work to meet the tight deadlines of a site consultant or delicately address a sensitive political matter. Often our profession and the tools we use are kicked around as a political football to showcase perceived inefficiencies or abuses of government funds. These pressures can be stressful and at times, discouraging. It is at these times when the simple genius of Chloe’s 5th grade logic helps remind me why we are in this profession. We are not seeking to only attain economic security and safety for ourselves, but seeking to create opportunities to help our fellow Michiganders to attain this as well. Not many professions can proudly say that. Become rich, live safely at… Michigan! Authored by: Steve Willobee, LEED AP, Lansing Economic Area Partnership (LEAP), Chief Operating Officer. Steve is the Co-Chair of MEDA’s Education Committee. I have to be honest—I am more excited about this year’s annual meeting than I ever have been before and this is my tenth year as a MEDA member. The annual meeting is just around the corner! If you haven’t do so already, get registered today and get ready for an annual meeting like no other! The planning committee has done an outstanding job of creating an agenda that includes important topics such as a discussion of our profession, current perceptions and realities of economic development and much more. As co-chair of the Young Professionals Committee, I’m especially looking forward to the panel discussion on the millennial perspective on economic development. Part of the Committee’s mission is to provide opportunities and to engage young professionals and to ultimately ensure connectivity to industry professionals and establish a network of peers with expertise in the various aspects of economic development. Creating talent pipelines is a necessity in any industry; we’re no different. Workforce development continues to be a hot topic of conversation in the many conversations we have in our ED groups, but it’s not one we have on a regular basis about our profession. Our group often struggles a bit with participation in the various programs we plan. I’m always asking: why don’t young people want to be economic developers? Perhaps it might help if we knew how they view what we do and what they feel are important drivers of economic development. The future of economic development depends on engaging these early career professionals and getting them involved. The annual meeting gives members an opportunity to reconnect with friends and colleagues and learn how to get involved with MEDA. At the lunch meeting on Thursday, the Board of Directors will talk about some of the new ideas for MEDA going forward and some of the priorities we have identified. Earlier this year, Board members took part in a retreat to talk about how we see MEDA moving forward in the future. So don’t skip out on the membership meeting and lunch! It really important to be engaged in these types of discussions. There are plenty of opportunities for networking and meet-ups. There will be a flipchart in the hotel lobby. If you want to host an impromptu meet-up, use the flipchart to let everyone know where you’ll be! Hope to see you there! Authored by: Stephanie Carroll, Coordinator, Community Relations & Legislative Affairs, City of Auburn Hills.